The town of Orono (population 10,500) is small, picturesque, and charming. Orono is a classic college town, bordered by the Stillwater and Penobscot Rivers and located eight miles from the city of Bangor. The climate in the area ranges from an average of 10 degrees Fahrenheit in the winter to 80 degrees Fahrenheit in the summer. Bangor (pop 31,000) is the third largest city in the state of Maine. The city is the retail hub for central, eastern, and northern Maine, with two indoor shopping malls and numerous shopping centers. Bangor offers two major hospitals and an international airport (Bangor International Airport). Bangor has been consistently ranked one of the most desirable places to live for its natural beauty, safety, quality of life, and affordability. Orono and Bangor are about a one-hour drive from some of the most beautiful coastlines in the New England Region. Also nearby are many lakes and mountains. The area boasts world-class skiing, sea-kayaking, river-kayaking, canoeing, fishing, and whitewater rafting. Orono is a two-hour drive from Portland, Maine’s largest city. 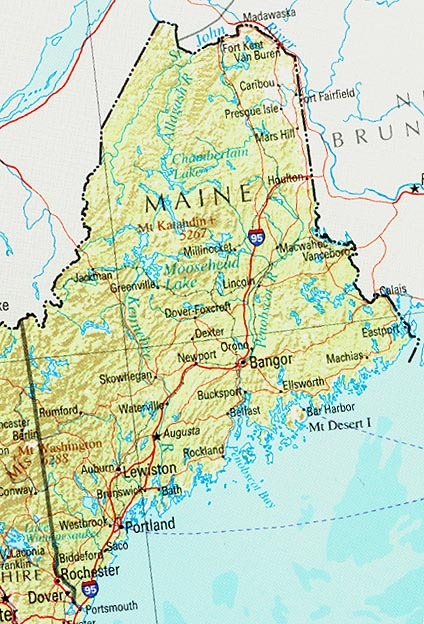 The New England region of the United States is made up of six states: Connecticut, Maine, Massachusetts, New Hampshire, Rhode Island, and Vermont. New England is known worldwide for its beautiful scenery and charming atmosphere. Bangor International Airport is the closest International Airport to UMaine. 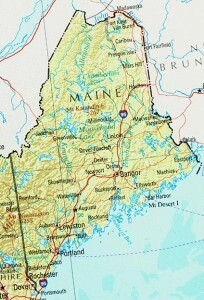 Taxicab transport from the airport to UMaine is convenient and takes only 15-20 minutes. The Portland Jet Port in Portland, Maine, is about a 2-hour drive from Bangor. The most convenient transport from Portland to Bangor is by bus. Bus Terminals are accessible by shuttle from the airport, and once in Bangor, taxicab transport to UMaine is convenient. Logan International Airport in Boston, Massachusetts, is the largest international airport in the New England Region. The most convenient transport from Boston to Bangor is by bus. Bus Terminals are accessible by at the airport, and once in Bangor, taxicab transport to UMaine is convenient.